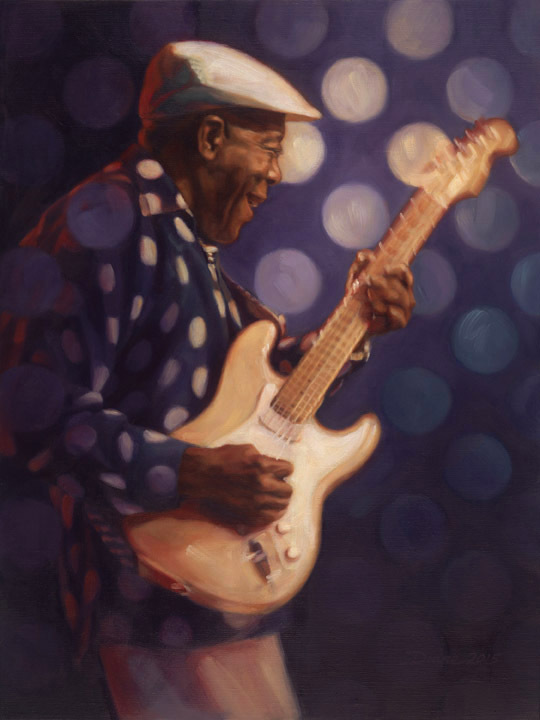 Artist comment: This painting of Buddy Guy was taken from several of my photographs of his performance at the Roseland Theater in 2013. He is a legendary guitarist as well as an incredibly entertaining storyteller, and for this painting, I decided to frame him in his famous polka dots, as a nod to the story about his mother and the polka dot Cadillac he had promised to drive home to her after he made it big in Chicago. She passed away before he was able to do so, but the polka dots live on in every performance.